Manuel Bernal’s nearly 30-year career in community development began as a Management Analyst for the City of Los Angeles Housing Department underwriting loans with HOME and CDBG funds. He later served as an Underwriter of equity investments at the National Equity Fund and was a co-founder and first Executive Director of the East L.A. Community Corporation. 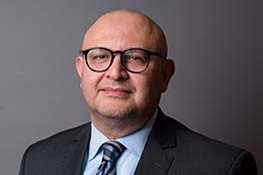 Manuel first joined CCF in 1999 and served until 2011 as Executive Vice President for Housing and Economic Development, and served on CCF’s Board of Directors from 2011 to 2017. Prior to his current position, Manuel was the Director of Multi-family Housing for the City of Los Angeles. Manuel holds an Advanced Bachelor’s degree in Economics from Occidental College.